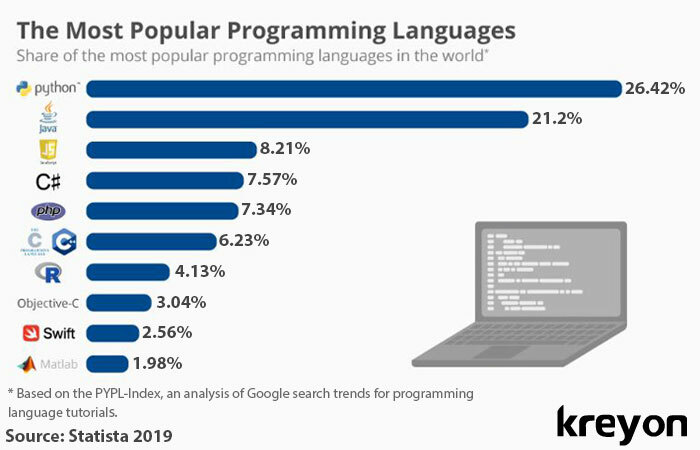 Java is ranked the second most popular language. It is searched by 21.3% people; every fifth query related to languages searched Java. The popularity of java has been on a slight decline over the years. There was a decrease of 1.3% people who searched java compared to last year. Java was developed by Sun Microsystems in 1995, now owned by Oracle. C & C++ are next on the list. These were searched by 6.23% people down 0.3% since last year. 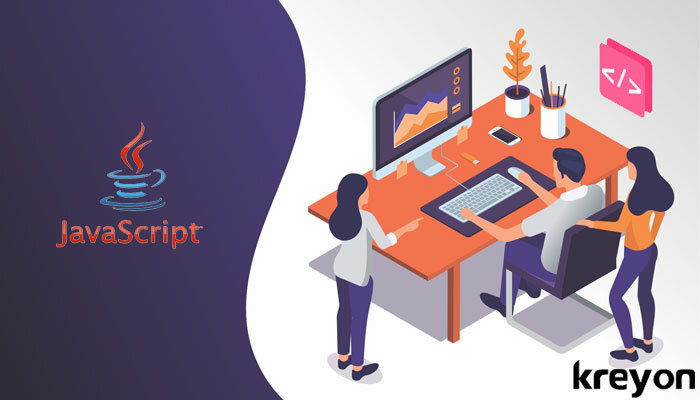 The C and C++ languages are used for system programming, application programs, embedded systems and super computers among others. The C language was developed in 1972 and is used for writing the kernel or the central part of unix operating system. C++ was earlier known as “C with Classes,” and was launched in 1985. Both C and C++ are used for various mission critical applications and make interaction with machines possible through programming. R is the seventh most popular language. It is a programming language for statistics, computing and graphics. 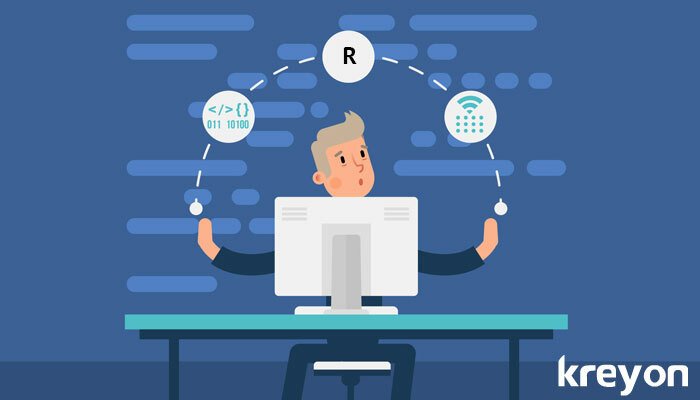 R is used by researchers, statisticians, data miners and data scientists. It’s a free programming language and was first launched in 1993. R was searched by 4.13% users. 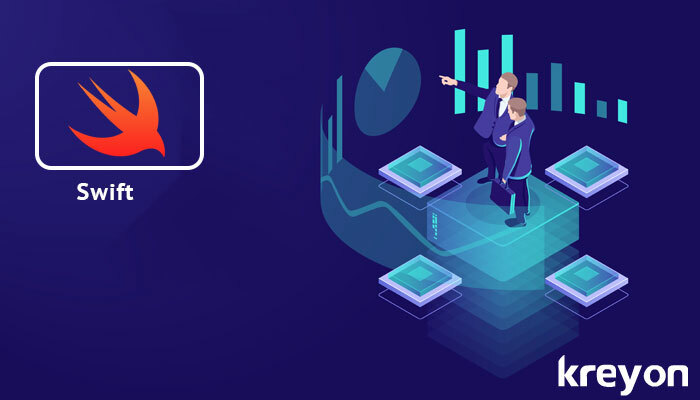 The language has gained more traction and acceptance from users in recent years due to data mining and analytics drive applications. Swift is a general purpose language developed by Apple for iOS, macOS, watchOS, tvOS, Linux and z/OS. It works with Apple’s touch frameworks like Cocoa. Swift is an extension and is designed to support Objective C for many of Apple’s existing products. Swift tutorials were searched by 2.56% users, down 0.6% from the previous year. Software programming and technology are playing an increasingly dominant role in shaping industries, governance and our day to day lives. 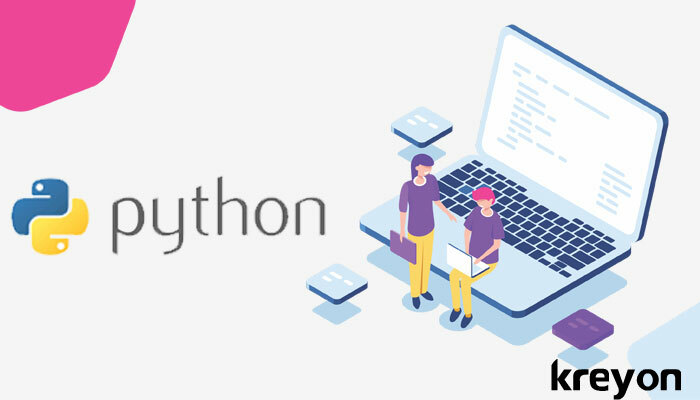 There are plenty of programming languages with rich features and functionality that enable programmers to build platforms to build incredible things. 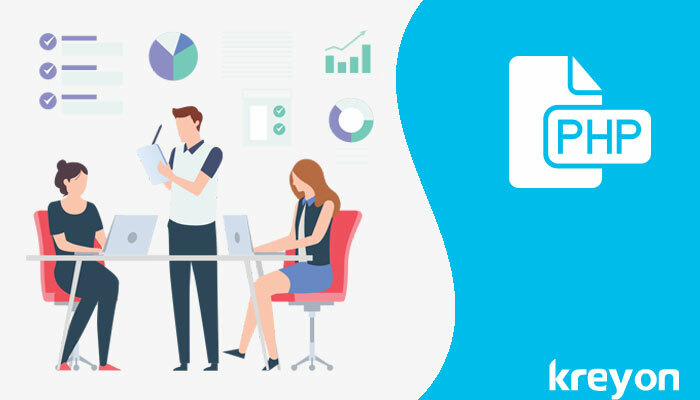 If you need any assistance for software product development or business process automation, please get in touch with us.